Ever go to a track and field event and see some of the catchy, inspirational and funny quotes on the backs of its team members? Finding a great quote and integrating it into the design of your track and field team t-shirts and sweatshirts is a great way to start your season. An inspirational quote can drive your team to the finals. A funny and humorous quote can keep the team in great spirits. A catchy quote will catch everyone’s attention, especially your opponents! Whatever type of track and field quote you chose, it will definitely unite the team and keep spirits running. 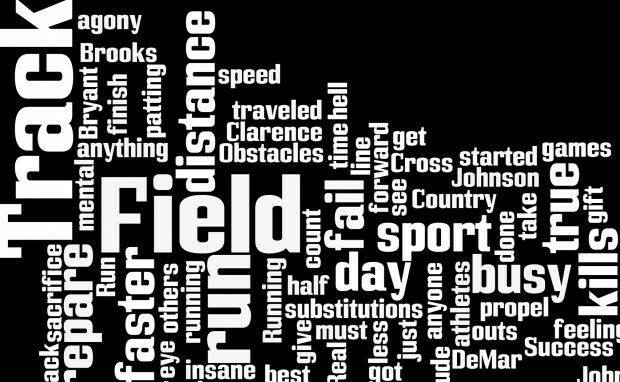 So, pick a favorite quote and start designing your track and field t-shirts and sweatshirts today. Check out our selection of track and field design templates and incorporate your chosen quote into the design. You can also personalize your t-shirts with each team members name and/or number. At IZA Design, we make ordering your track and field tees so simple!.